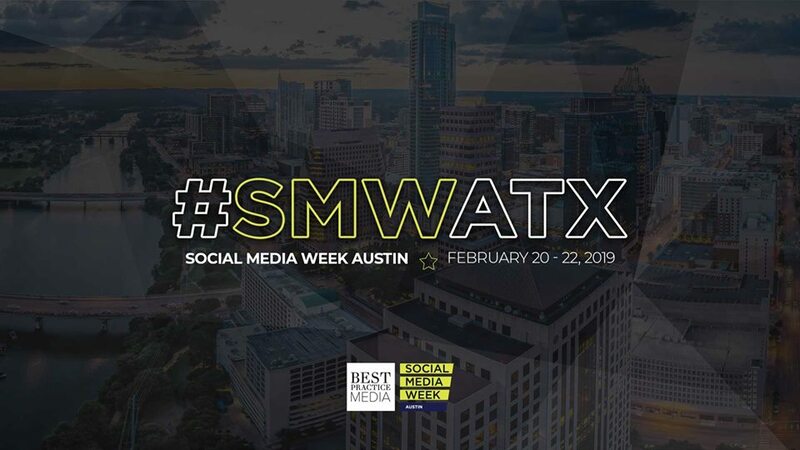 In its 3rd year, Social Media Week Austin (#SMWATX) brings together marketing, media and technology professionals with a curiosity and passion for new ideas, innovations and emerging trends in social media and digital marketing. Join us as more than 100 speakers will take the stage to share ideas and actionable insights to advance your career and organization! FULL PROGRAMMING ANNOUNCED IN JANUARY. • Badges are on sale now! Each badge includes access to keynote speeches, panel sessions, Masterclass workshops, expert "office hours," daily networking coffees and nightly happy hours. • Sponsorship opportunities are now available! Sponsors can expect to reach an audience comprised of C-Level executives, mid-senior level marketing executives, digitally focused enterprise professionals, technology entrepreneurs and founders, media and publishing executives, bloggers and social media influencers. For sponsorship information, contact us at info@smwatx.com.